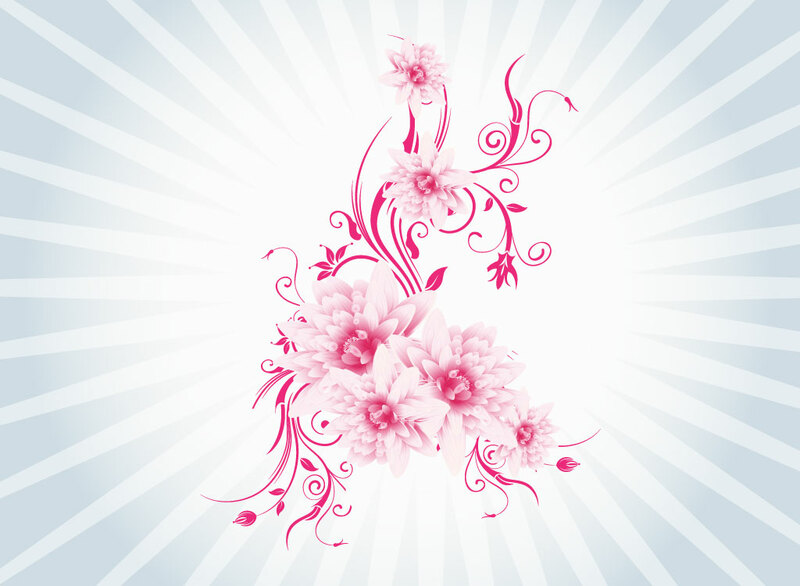 Beautiful floral vector design with an excellent use of gradients to create semi-realistic flowers with pink line art style filigree. The lovely graphics comes with a starburst background image. Free download for your nature themes and decorative designs. Wonderful Illustrator stock footage to create original invitations, flyers, brochure or interior designs. Tags: Artistic, Beauty, Filigree, Layout, Mesh Flowers, Plants, Presentation, Spring.